“Lo! Abraham said to His father Azar: “Takest Thou idols for gods? for I see Thee and Thy people In Manifest error.” So also did we Show Abraham the power and the laws of the heavens and the earth, that He might (with understanding) have certitude. When the night covered Him over, He saw a star: He said: “This is My Lord.” but when it set, He said: “I love not those that set.” When He saw the moon rising In splendour, He said: “This is My Lord.” but when the moon set, He said: “unless My Lord guide me, I shall surely be among those who go astray.” When He saw the sun rising In splendour, He said: “This is My Lord; This is the greatest (of all).” but when the sun set, He said: “O My people! I am indeed free from your (guilt) of giving partners to Allah. “For me, I have set My face, firmly and truly, towards Him who created the heavens and the earth, and never shall I give partners to Allah.” His people disputed with Him. He said: “(Come) ye to dispute with me, about Allah, when He (himself) hath guided me? I fear not (the beings) ye associate with Allah. unless My Lord willeth, (nothing can happen). My Lord comprehendeth In His knowledge all things. will ye not (Yourselves) be admonished? “How should I fear (the beings) ye associate with Allah, when ye fear not to give partners to Allah without any warrant having been given [to you? which of (Us) two parties hath more right to security? (tell me) if ye know.” [Translation Quran;6:74-78, by Abdullah Yousaf Ali.]. Here is commentary from ‘Muarif ul Quran’ by first Grand Mufti Pakistan Mufti Muhammad Shafi Usmani, a close associate of founders of Pakistan movement. It will be noted that Prophet Abraham (Ibrahim) has elected not to identify his family and his people with himself in this verse when he said to his father that “his’ people were in error”. This indicates the great sacrifice Prophet Abraham (pbuh) offered in the way of Allah by cutting off his bonds with his disbelieving brotherhood. Thus by his deed he demonstrated that Muslim nationality is founded through the bonds of Islam. When nationalities based on concepts of race or homeland clash against it, all those deserve to be forsaken. By mentioning this event relating to Prophet Ibrahim (pbuh) the Holy Qur’an has asked all communities to come after him that they too should follow in his footsteps It was said: “Definitely good and worthy of being emulated and followed by the Muslim community is the way and conduct of Sayyidna Ibrahim (pbuh) and of those with him who frankly told their lineal, racial and geographical brotherhood that they were wary of them and their false objects of worship and that the wall of discord between them shall remain standing until such time that they do become believers and submit to none but Allah.” This tells us that the two-nation theory which brought Pakistan into existence was first proclaimed by Prophet Abraham (Ibrahim, pbuh). The Ummah of the Holy Prophet (pbuh) and other communities followed this guidance and moved ahead. Among Muslims Islam as the identity of‘ their nationhood became well-recognized. During his journey undertaken to perform his Last Hajj, the Holy Prophet Muhammad (pbuh) met a caravan on the way he asked them: ‘Which nationality do you come from? They replied: ‘We are a nation Muslims’ [Bukhari]. Here in accordance with the early practice in Arabia. They did not name a tribe or a lineally identified family, instead. called themselves: Muslims and by doing so, they declared what was their real nationality, a nationality which will hold good in all times right through to the end of time well through the trials of Last Day. At this particular place when Prophet Ibrahim (pbuh) addressed his father, he proclaimed his distaste for the doings of ‘his’ people – attributing the people he came from to his father but at the place where he had to proclaim his principled disassociation from the same people he addressed them as his. as appears in the next verse: “O’ my people l am free of what you associate (with Allah )”. The hint given here is: “Though you are my people in terms of race and homeland. but your deeds of disbelief and polytheism have compelled me to cut of my relations with your brotherhood.” The brotherhood of Prophet Abraham (Ibrahim, pbuh) and his father were involved in a two-fold Shirk: They worshipped idols as well as stars. So Prophet Abraham (pbuh) debated both issues with his father and with his people. First, it was idol worship. He said that it was error and straying. Then, in the next verses, he pointed out to stars as unworthy of worship. And a little earlier in verse 6:75, it is in the form of an introduction that Allah mentions a particular elegance and insight of Prophet Abraham (Ibrahim, pbuh) by saying: “We made Ibrahim see what We have created in the heavens and the earth in a way which would unravel the reality of all these created objects manifestly so that he may become firm in his belief” What came to pass after that has taken the shape of a wondrous dialogue that appears in later verses (which shows a certain quality even in the translated form of the meanings of the totally untranslatable beauty, diction and elan of the original) and it would be useful to dwell upon the manner in which it emerges stage by stage. While some prefer to emphasise the economic independence within secular Pakistan, others dream of theocracy like Iran. They try to support their perceptions by misquoting and twisting sayings of Muhammad Ali Jinnah, the founder of Pakistan. Both are far from the reality. This fundamental question has been settled through Objectives Resolution, adopted by first constituent assembly on March 9, 1949, and subsequently by all assemblies till now. Any ambiguity was further clarified by Liaquat Ali Khan, the 1st Prime Minister of Pakistan, also a close associate of Muhammad Ali Jinnah, in his speech on the Objectives Resolution, March 9, 1949. 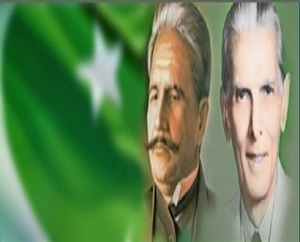 The Objectives Resolution is a basic and primary document of the constitutional history of Pakistan. It is a framework that provides mechanism to achieve goals for a better life of the people of Pakistan. It’s important that it embraces centrality of Islam to polity sustaining their links with the pre-independence period. The AIML leaders were modernist Muslims not in favour of an orthodox religious state or theocracy, as elucidated by Liaqat Ali Khan, the Prime Minister in his address. Therefore, they selected the middle way abiding by the Islamic laws and the international democratic values. The Resolution remains ‘Preamble of all the constitutions due to its importance. The Objectives Resolution was adopted on 12 March 1949 by the Constituent Assembly of Pakistan. The resolution, proposed by the Prime Minister, Liaquat Ali Khan, proclaimed that the future constitution of Pakistan would not be modelled entirely on a European pattern, but on the ideology and democratic faith of Islam. It has been incorporated in successive constitutions. Muslims shall be enabled to order their lives in the individual and collective spheres in accordance with the teachings of Islam as set out in the Qur’anand Sunnah. The Objectives Resolution, which combines features of both Western and Islamic democracy, is one of the most important documents in the constitutional history of Pakistan. At the time it was passed, Liaquat Ali Khan called it “the most important occasion in the life of this country, next in importance only to the achievement of independence”. It is included in the Annex of the current Constitution of Pakistan by virtue of Article 2A of the Constitution. Sir, I consider this to be a most important occasion in the life of this country, next in importance only to the achievement of independence, because by achieving independence we only won an opportunity of building up a country and its polity in accordance with our ideals. I would like to remind the House that the Father of the Nation, Quaid-I-Azam, gave expression to his feelings on this matter on many an occasion, and his views were endorsed by the nation in unmistakable terms. Pakistan was founded because the Muslims of this sub-continent wanted to build up their lives in accordance with the teachings and traditions of Islam, because they wanted to demonstrate to the world that Islam provides a panacea to the many diseases which have crept into the life of humanity today. It is universally recognized that the source of these evils is that humanity has not been able to keep pace with its material development, that the Frankenstein Monster which human genius has produced in the form of scientific inventions, now threatens to destroy not only the fabric of human society but its material environment as well, the very habitat in which it dwells. It is universally recognized that if man had not chosen to ignore the spiritual values of life and if his faith in God had not been weakened, this scientific development would not have endangered his very existence. It is God-consciousness alone which can save humanity, which means that all power that humanity possesses must be used in accordance with ethical standards which have been laid down by inspired teachers known to us as the great Prophets of different religions. We, as Pakistanis, are not ashamed of the fact that we are overwhelmingly Muslims and we believe that it is by adhering to our faith and ideals that we can make a genuine contribution to the welfare of the world. Therefore, Sir, you would notice that the Preamble of the Resolution deals with a frank and unequivocal recognition of the fact that all authority must be subservient to God. It is quite true that this is in direct contradiction to the Machiavellian ideas regarding a polity where spiritual and ethical values should play no part in the governance of the people and, therefore, it is also perhaps a little out of fashion to remind ourselves of the fact that the State should be an instrument of beneficence and not of evil. But we, the people of Pakistan, have the courage to believe firmly that all authority should be exercised in accordance with the standards laid down by Islam so that it may not be misused. All authority is a sacred trust, entrusted to us by God for the purpose of being exercised in the service of man, so that it does not become an agency for tyranny or selfishness. I would, however, point out that this is not a resuscitation of the dead theory of Divine Right of Kings or rulers, because, in accordance with the spirit of Islam, the Preamble fully recognizes the truth that authority has been delegated to the people, and to none else, and that it is for the people to decide who will exercise that authority. For this reason it has been made clear in the Resolution that the State shall exercise all its powers and authority through the chosen representatives of the people. This is the very essence of democracy, because the people have been recognized as the recipients of all authority and it is in them that the power to wield it has been vested. Sir, I just now said that the people are the real recipients of power. This naturally eliminates any danger of the establishment of a theocracy. It is true that in its literal sense, theocracy means the Government of God; in this sense, however, it is patent that the entire universe is a theocracy, for is there any corner in the entire creation where His authority does not exist? But in the technical sense, theocracy has come to mean a Government by ordained priests, who wield authority as being specially appointed by those who claim to derive their rights from their sacerdotal position. I cannot over-emphasise the fact that such an idea is absolutely foreign to Islam. Islam does not recognize either priesthood or any sacerdotal authority; and, therefore, the question of a theocracy simply does not arise in Islam. If there are any who still use the word theocracy in the same breath as the polity of Pakistan, they are either labouring under a grave misapprehension, or indulging in mischievous propaganda. You would notice, Sir, that the Objectives Resolution lays emphasis on the principles of democracy, freedom, equality, tolerance and social justice, and further defines them by saying that these principles should be observed in the constitution as they have been enunciated by Islam. It has been necessary to qualify these terms because they are generally used in a loose sense. For instance, the Western Powers and Soviet Russia alike claim that their systems are based upon democracy, and, yet, it is common knowledge that their polities are inherently different. It has, therefore, been found necessary to define these terms further in order to give them a well-understood meaning. When we use the word democracy in the Islamic sense, it pervades all aspects of our life; it relates to our system of Government and to our society with equal validity, because one of the greatest contributions of Islam has been the idea of the equality of all men. Islam recognizes no distinctions based upon race, colour or birth. Even in the days of its decadence, Islamic society has been remarkably free from the prejudices which vitiated human relations in many other parts of the world. Similarly, we have a great record in tolerance, for under no system of Government, even in the Middle Ages, have the minorities received the same consideration and freedom as they did in Muslim countries. When Christian dissentients and Muslims were being tortured and driven out of their homes, when they were being hunted as animals and burnt as criminals – even criminals have never been burnt in Islamic society – Islam provided a haven for all who were persecuted and who fled from tyranny. It is a well-known fact of history that, when anti-Semitism turned the Jews out of many a European country, it was the Ottoman Empire which gave them shelter. The greatest proof of the tolerance of Muslim peoples lies in the fact that there is no Muslim country where strong minorities do not exist, and where they have not been able to preserve their religion and culture. Most of all, in this sub-continent of India, where the Muslims wielded unlimited authority, the rights of non-Muslims were cherished and protected. I may point out, Sir, that it was under Muslim patronage that many an indigenous language developed in India. My friends, from Bengal would remember that it was under the encouragement of Muslim rulers that the first translations of the Hindu scriptures were made from Sanskrit into Bengali. It is this tolerance which is envisaged by Islam, wherein a minority does not live on sufferance, but is respected and given every opportunity to develop its own thought and culture, so that it may contribute to the greater glory of the entire nation. In the matter of social justice as well, Sir, I would point out that Islam has a distinct contribution to make. Islam envisages a society in which social justice means neither charity nor regimentation. Islamic social justice is based upon fundamental laws and concepts which guarantee to man a life free from want and rich in freedom. It is for this reason that the principles of democracy, freedom, equality, tolerance and social justice have been further defined by giving to them a meaning which, in our view, is deeper and wider than the usual connotation of these words. The next clause of the Resolution lays down that Muslims shall be enabled to order their lives in the individual and collective spheres in accord with the teachings and requirements of Islam as set out in the Holy Quran and the Sunna. It is quite obvious that no non-Muslim should have any objection if the Muslims are enabled to order their lives in accordance with the dictates of their religion. You would also notice, Sir, that the State is not to play the part of a neutral observer, wherein the Muslims may be merely free to profess and practise their religion, because such an attitude on the part of the State would be the very negation of the ideals which prompted the demand of Pakistan, and it is these ideals which should be the corner-stone of the State which we want to build. The State will create such conditions as are conductive to the building up of a truly Islamic society, which means that the State will have to play a positive part in this effort. You would remember, Sir, that the Quaid-I-Azam and other leaders of the Muslim League always made unequivocal declarations that the Muslim demand for Pakistan was based upon the fact that the Muslims had a way of life and a code of conduct. They also reiterated the fact that Islam is not merely a relationship between the individual and his God, which should not, in any way, affect the working of the State. Indeed, Islam lays down specific directions for social behaviour, and seeks to guide society in its attitude towards the problems which confront it from day to day. Islam is not just a matter of private beliefs and conduct. It expects its followers to build up a society for the purpose of good life – as the Greeks would have called it, with this difference, that Islamic “good-life” is essentially based upon spiritual values. For the purpose of emphasizing these values and to give them validity, it will be necessary for the State to direct and guide the activities of the Muslims in such a manner as to bring about a new social order based upon the essential principles of Islam, including the principles of democracy, freedom, tolerance and social justice. These I mention merely by way of illustration; because they do not exhaust the teachings of Islam as embodied in the Quran and the Sunna. There can be no Muslim who does not believe that the word of God and the life of the Prophet are the basic sources of his inspiration. In these there is no difference of opinion amongst the Muslims and there is no sect in Islam which does not believe in their validity. Therefore, there should be no misconception in the mind of any sect which may be in a minority in Pakistan about the intentions of the State. The State will seek to create an Islamic society free from dissensions, but this does not mean that it would curb the freedom of any section of the Muslims in the matter of their beliefs. No sect, whether the majority or a minority, will be permitted to dictate to the others and, in their own internal matters and sectional beliefs, all sects shall be given the fullest possible latitude and freedom. Actually we hope that the various sects will act in accordance with the desire of the Prophet who said that the differences of opinion amongst his followers are a blessing. It is for us to make our differences a source of strength to Islam and Pakistan, not to exploit them for narrow interests which will weaken both Pakistan and Islam. Differences of opinion very often lead to cogent thinking and progress, but this happens only when they are not permitted to obscure our vision of the real goal, which is the service of Islam and the furtherance of its objects. It is, therefore, clear that this clause seeks to give the Muslims the opportunity that they have been seeking, throughout these long decades of decadence and subjection, of finding freedom to set up a polity, which may prove to be a laboratory for the purpose of demonstrating to the world that Islam is not only a progressive force in the world, but it also provides remedies for many of the ills from which humanity has been suffering. In our desire to build up an Islamic society we have not ignored the rights of the non-Muslims. Indeed, it would have been un-Islamic to do so, and we would have been guilty of transgressing the dictates of our religion if we had tried to impinge upon the freedom of the minorities. In no way will they be hindered from professing or protecting their religion or developing their cultures. The history of the development of Islamic culture itself shows that cultures of the minorities, who lived under the protection of Muslim States and Empires contributed to the richness of the heritage which the Muslims built up for themselves. I assure the minorities that we are fully conscious of the fact that if the minorities are able to make a contribution to the sum total of human knowledge and thought, it will redound to the credit of Pakistan and will enrich the life of the nation. Therefore, the minorities may look forward, not only to a period of the fullest freedom, but also to an understanding and appreciation on the part of the majority which has always been such a marked characteristic of Muslims throughout history. Sir, the Resolution envisages a federal form of government because such is the dictate of geography. It would be idle to think of a unitary form of Government when the two parts of our country are separated by more than a thousand miles. I, however, hope that the Constituent Assembly will make every effort to integrate the units closer and forge such ties as would make us a well-integrated nation. I have always advocated the suppression of provincial feelings, but I want to make it clear that I am not an advocate of dull uniformity. I believe that all the areas and units, which form Pakistan, should contribute to the richness of our national life. I do, however, want to make it clear that nothing should be permitted which, in any sense, tends to weaken national unity, and provision should be made for bringing about a closer relationship amongst the various sections of our population than exists today. For this purpose the Constituent Assembly will have to think anew as to what will be the best method for the distribution of subjects between the Centre and the units, and how the units should be defined in our new setup. Mr. President, it has become fashionable to guarantee certain fundamental rights, but I assure you that it is not our intention to give these rights with one hand and take them away with the other. I have said enough to show that we want to build up a truly liberal Government where the greatest amount of freedom will be given to all its members. Everyone will be equal before the law, but this does not mean that his personal law will not be protected. We believe in the equality of status and justice. It is our firm belief and we have said this from many a platform that Pakistan does not stand for vested interests or the wealthy classes. It is our intention to build up an economy on the basic principles of Islam which seeks a better distribution of wealth and the removal of want. Poverty and backwardness – all that stands in the way of the achievement of his fullest stature by man – must be eradicated from Pakistan. At present our masses are poor and illiterate. We must raise their standards of life, and free them from the shackles of poverty and ignorance. So far as political rights are concerned, everyone will have a voice in the determination of the policy pursued by the Government and in electing those who will run the State, so that they may do so in the interests of the people. We believe that no shackles can be put on thought and, therefore, we do not intend to hinder any person from the expression of his views. Nor do we intend to deprive anyone of his right of forming associations for all lawful and moral purposes. In short, we want to base our polity upon freedom, progress and social justice. We want to do away with social distinctions, but we want to achieve this without causing suffering or putting fetters upon the human mind and lawful inclinations. Sir, there are a large number of interests for which the minorities legitimately desire protection. This protection the Resolution seeks to provide. The backward and depressed classes are our special charge. We are fully conscious of the fact that they do not find themselves in their present plight for any fault of their own. It is also true that we are not responsible by any means for their present position. But now that they are our citizens, it will be our special effort to bring them up to the level of other citizens, so that they may bear the responsibilities imposed by their being citizens of a free and progressive State, and share them with others who have been more fortunate than themselves. We know that so long as any sections amongst our people are backward, they will be a drag upon society and, therefore, for the purpose of building up our State we must necessarily took to the interests of these sections. Mr. President, in the end we firmly believe that by laying the foundations of our constitution on the principles enunciated in this Resolution, we shall be able to put Pakistan on the path of progress, and the day is not far distant when Pakistan will become a country of which its citizens, without distinction of class or creed, will be proud. I am confident that our people have great potentialities. Through their unparalleled sacrifices and commendable sense of discipline, displayed at the time of a grave disaster and crisis, they have earned the admiration of the world. Such a people, I am sure, not only deserves to live, but is destined to make a contribution to the welfare and progress of humanity. It is essential that it should keep alive its spirit of sacrifice, and its adherence to its noble ideals, and Destiny itself will lead it to its place of glory in the affairs of the world, and make it immortal in the annals of humanity. Sir, this people has traditions of great achievement to its credit; its history is replete with deeds of glory; in every sphere of life it has contributed its full measure of achievement; its heroism adorns the pages of military chronicles; its administrators created traditions which have withstood the ravages of time; in creative art, its poverty, architecture and sense of beauty have won their tribute of appreciation; in the matter of spiritual greatness it has few parallels. It is this people which is again on the march, and, given the necessary opportunities, it will surpass its previous record of glorious achievement. This Objectives Resolution is the first step in the direction of the creation of an environment which will again awaken the spirit of the nation. We, whom Destiny has chosen to play a part, howsoever humble and insignificant, in this great drama of national resurrection, are overwhelmed with the magnitude of the opportunities which are before us. Let us use these opportunities with wisdom and foresight, and I have not the least doubt that these humble efforts will bear fruit far in excess of our wildest expectations, through the help of a Providence which has brought Pakistan into existence. It is not every day that great nations come into their own; it is not every day that peoples stand on the threshold of renaissance; it is not every day that Destiny beckons the down-trodden and the subjugated to rise and greet the dawn of a great future. It is the narrow streak of light heralding the brilliance of the full day, that we salute in the form of this Resolution. Park51 or Ground Zero mosque?